There seems to be a lot of talk these days about the loss of a grassroots ethos in the motorcycle world. Some of the discussion revolves around events that falsely label themselves as grassroots. Some of the voices are those of jaded individuals, mad at just about anything and everything, claiming that even one sponsor adorning a flyer is the same as being a total sell-out. But what is the definition of grassroots? One definition is, “the most basic level of an activity or organization”, or “ordinary people regarded as the main body of an organization’s membership”. So where does one draw the line between what can, and cannot, be considered “grassroots”? It’s a question partly rooted (haha get it?) in ethics and partly in the almighty dollar. To a greater degree, who benefits? Chris Hench was chosen as one of the invited builders to participate in the 2016 Greasy Dozen. 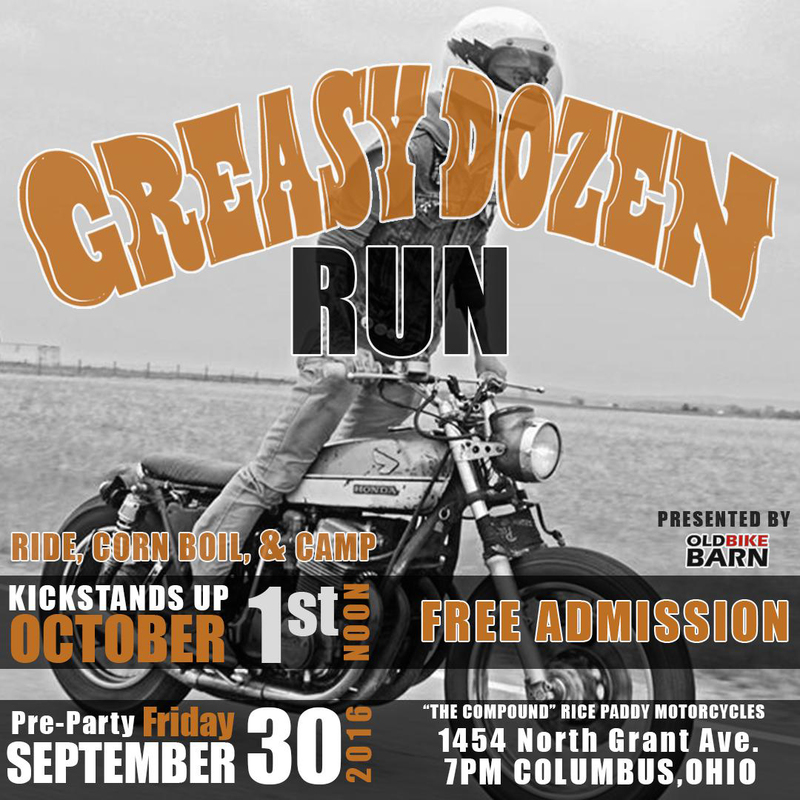 A true grassroots event, the Greasy Dozen showcases upcoming builders. Guys building bikes out of their small garages, sheds, and maybe even their living rooms. The idea of giving attention to the little guy, the aspiring builder, or skilled hobbyist, is a noble approach to re-energizing one’s faith in the culture we all presumably love and appreciate. 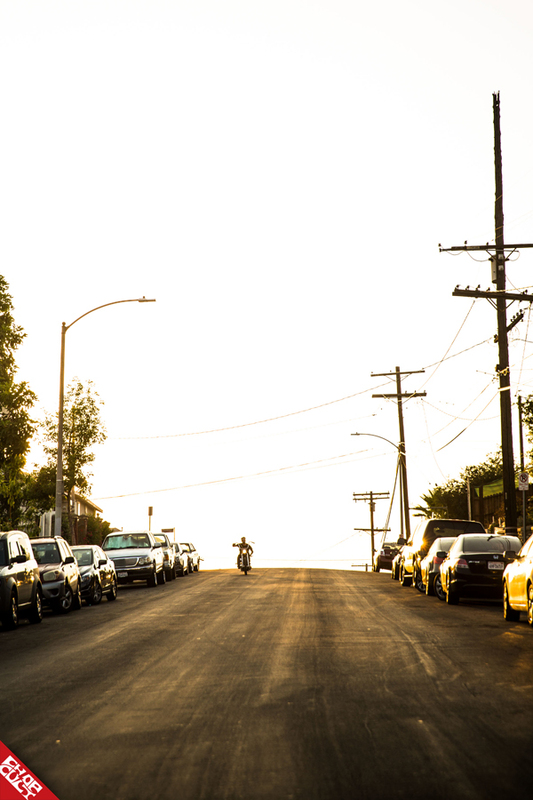 Chris’s approach to his Greasy Dozen bike was to piece together a survivor of sorts. Period correct parts complimenting each other the way they would on a bike from the 60’s or 70’s. 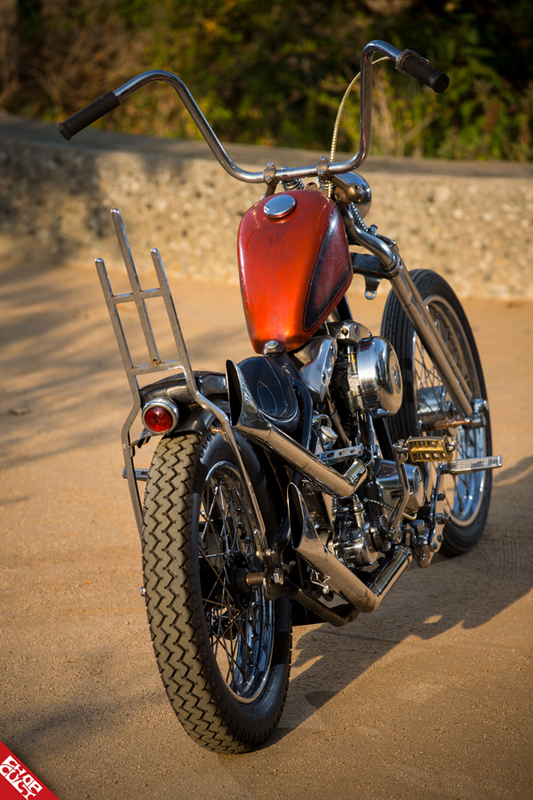 Crazy fabrication, over the top paint, or shiny chrome isn’t what makes this bike interesting. 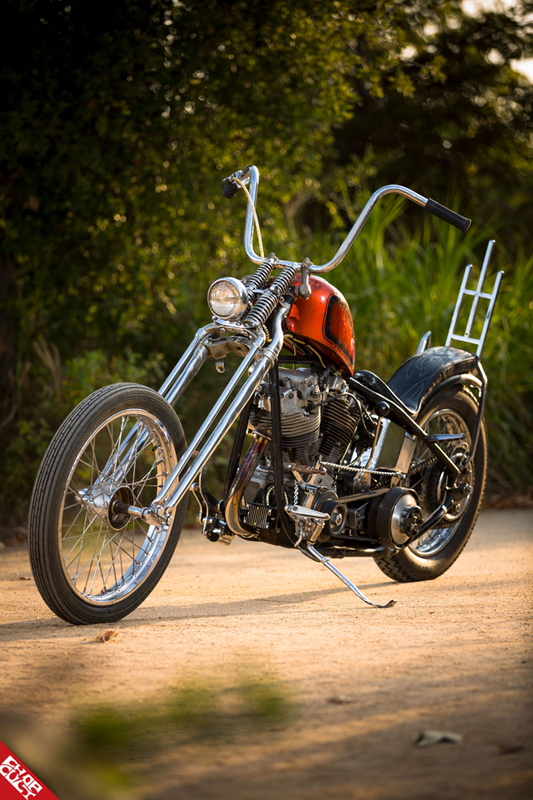 It’s the attention to procuring interesting old parts and making a fun, running, have-gas-will-travel type of chopper. 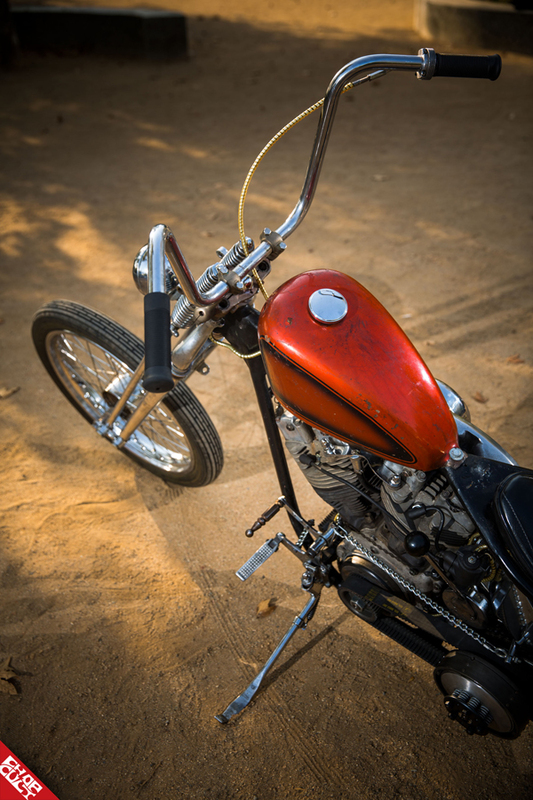 Even though this bike isn’t the first Chris has built, his approach to cobbling together this bike is what most of us can probably relate to and went through when we first started customizing our own bikes. What can I do? How can I do it? How do I make it MY OWN? Chris embodies the very ethos that some claim has gone missing. Yet it’s alive and well in garages around the world. People hungry to fabricate, bolt some parts to, and tinker with, the machines they have an affinity for. Maybe the ones worrying about what they deem is acceptable or not should stop worrying so much and spend more time in their own garages. Who knows, maybe afterwards they’ll have a rad bike to show for it. Frame/Rake: The frame is a weird molded frame I came across from sometime in the 60’s. 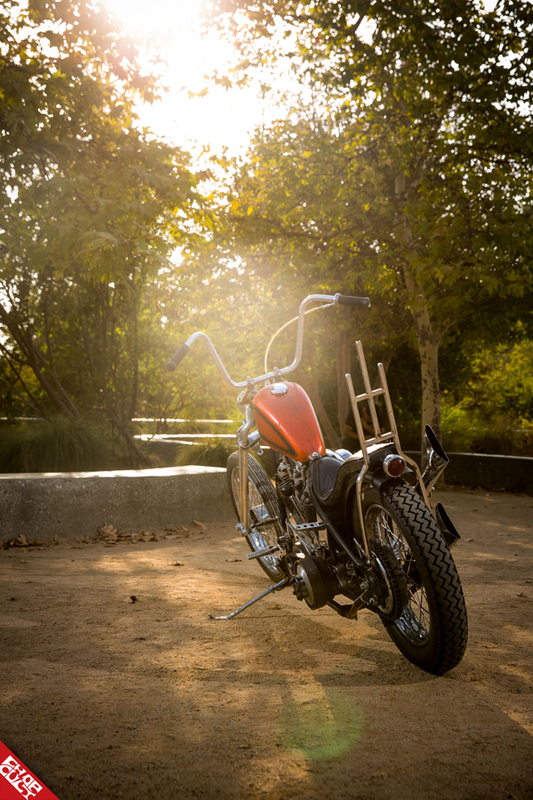 The frame is actually what sparked the inspiration to build this bike. I loved the frame I found. I checked it for straightness and quality of work on the rake but tried to leave it as untouched as possible and any additions I had to add to the frame I tried to keep looking identical to the frames’ work from the 60’s. I don’t know why I was so attached to this frame but it really did inspire the entire build. 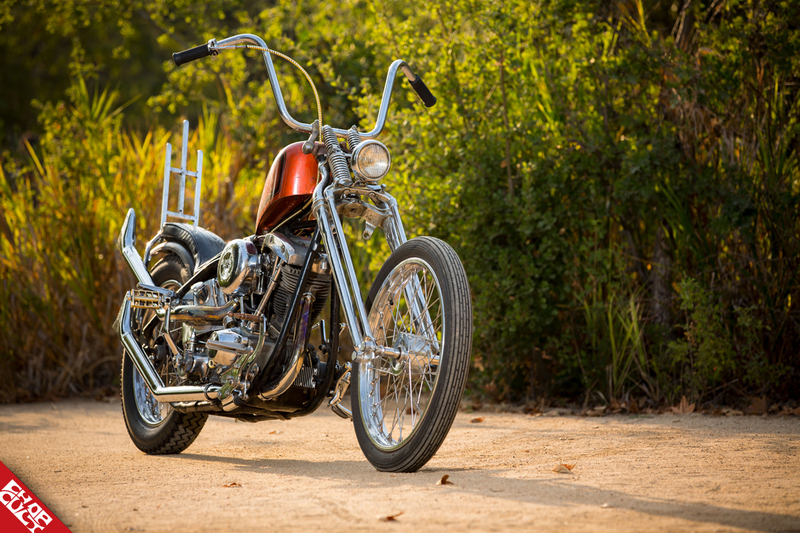 Front End: 8” over OEM Harley springer. Favorite thing about this bike: Easily the frame and the banged-up gas tank. I made a point to keep the original paint on both. Next modification will be: Not really sure. I know it’s not done, when are they ever? For now, it’s ready to roll across country from LA to Ohio for the Greasy Dozen Run. Other mods, accessories, cool parts, etc: I dig the seat I found for it too. It’s again some weird 60’s/70’s-era garage-made seat with hand stitched flames on it. Super weird and uncomfortable but killer! I modified it to fit my frame but left the original vinyl with the hand stitching on top. Any building or riding story or info you'd like to include: The entire idea was to not build a show bike that was perfect, shiny, and ideal. I wanted, for this one, to build a crusty chopper inspired by the survivor bikes I love. I like my personal bikes to be a little rough around the edges so I used all 60’s/70’s parts that took me almost a year to seek out and piece together exactly what I was after. All the new fabrication work that was done I tried to keep as similar to the work already on the parts/frame/tank/etc. that I was using. I am so thankful I was picked to be a builder for the 2016 Greasy Dozen Run. I entered on a whim, not really expecting to be chosen. I love grassroots chopper events and culture. So, to be a part of one of the greatest events, I am so thankful to Bear, the sponsors and his team. I’m looking forward to seeing all of the other builds in September. Thanks to: I have to send a huge thanks to Jimmy at @kickerparts; he helped me find so many of the odds and ends I needed and wanted for the build. I was very specific with the parts I wanted on the bike and couldn’t just settle on things, and he always had a way to find what I was looking for. Already plotting and planning the next build and he will be my first stop. Also a huge thanks to my girl for tolerating the countless hours rushing this this build together in time to go across country. Click the image for event details. Has anyone ever actually seen a complete Hallcraft front hub/brake combo? Lmao, I have one. Keep up the good grassroots work, who cares what anybody thinks or knows, ride your old iron everywhere far and wide with no chase vehicle! Couldn't agree more about the "Grassroots" event hater comments. The community is glad that they won't attend events like Born Free. I've been to one of their events and believe me, they can have their exclusivity as the event sucked. Let them hate and stay away and Hump their Lady's if you get my drift...mouth breathers.